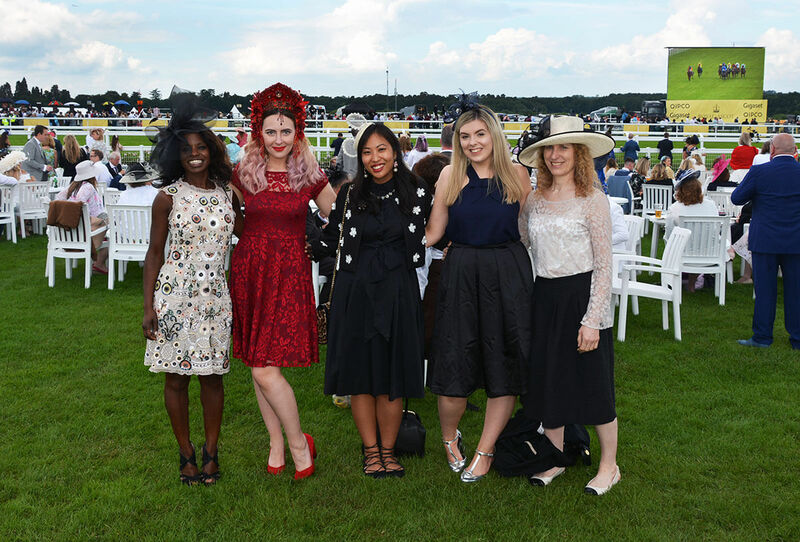 My opportunity to go to Royal Ascot was made possible by a fantastic British brand called HotSquash. The label specialises in clothing with unique warming and cooling technology. The dress I was wearing was equipped with the cooling feature, hence you see me shamelessly basking in the sun, not a sweat patch in sight. I can’t wait to try on a piece from HotSquash’s warming range – it could be the next British winter must-have. 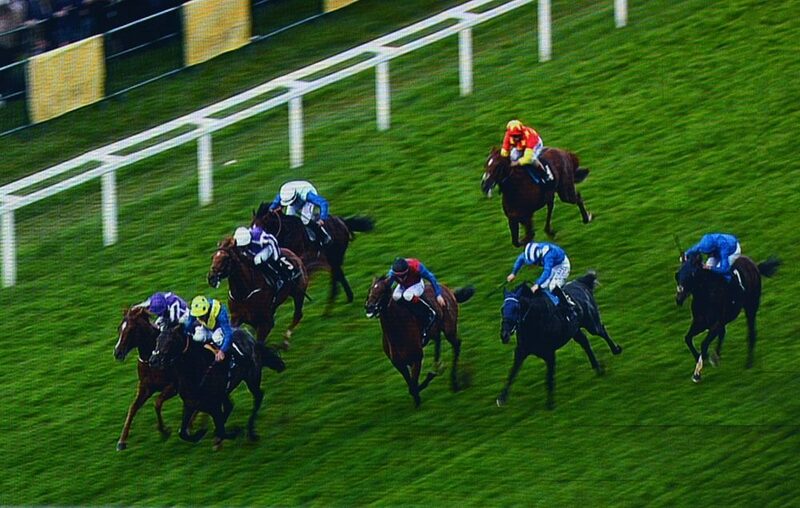 Coming back to Ascot, I must talk about the races themselves. They were like short bursts of energy fuelling the day, with the presenter’s superfast commentary like a shot of vodka in one’s Red Bull: Sharp, exciting and invigorating. Having said that, some of the other interactions were less pleasing. I was lucky enough to be in a group of wonderful women all whom work in fashion journalism and see over-the-top styles on the daily. Walking through the crowds, had my squad not been there, I would have felt borderline frightened. Other elegantly hatted ladies tended to stare each other down top to bottom and back again. Meow! 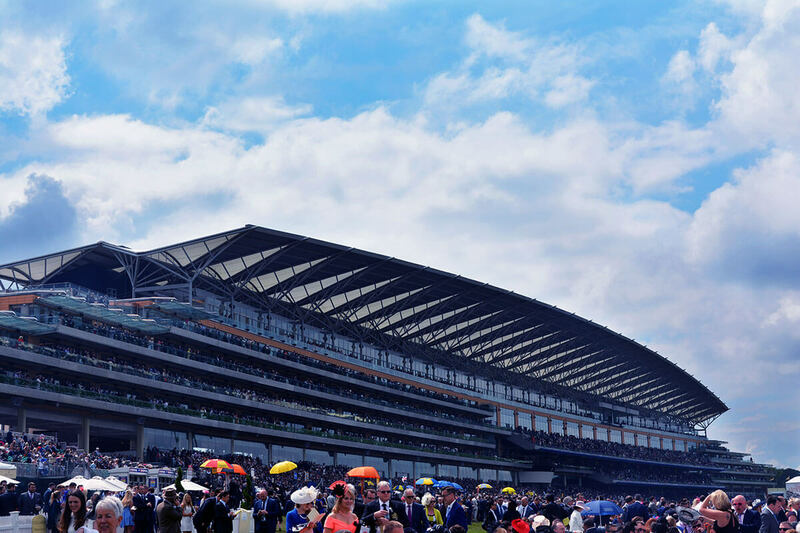 If you are going to Ascot next year, be mindful of that – these are not just empty words. 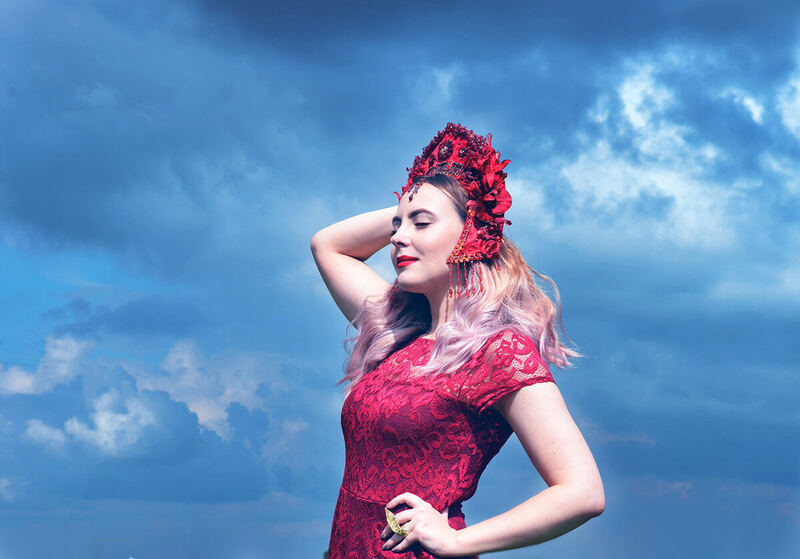 I’ll finish off with the icing on the cake, my kokoshnik by couture milliner, Liv Free. Her work is just mind-blowing. 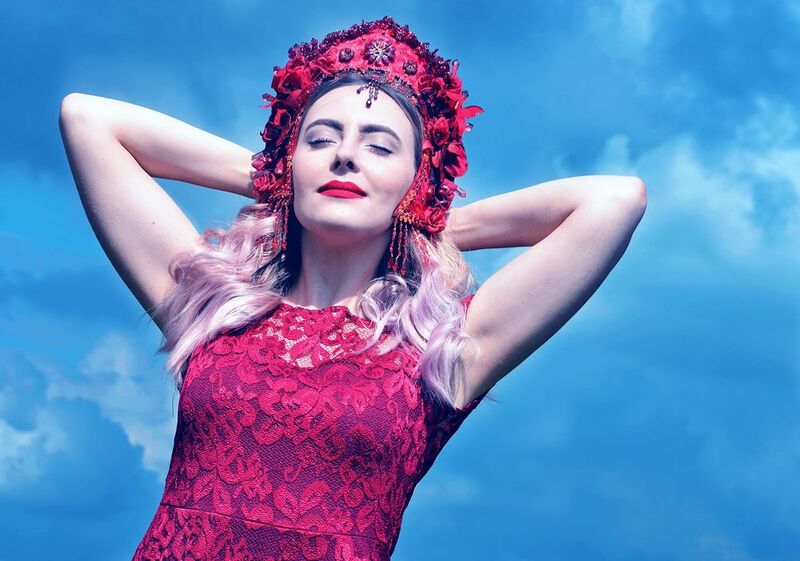 It was important for me to wear something that represented Eastern Europe and the stunning elements from my part of the world, as due to recent political events it keeps being demonised every single day. This was my personal silent statement, and no words can ever argue with the sincere beauty of an intricate, traditional and folkloristic kokoshnik. A massive thank you to HotSquash and Brandnation for this opportunity. 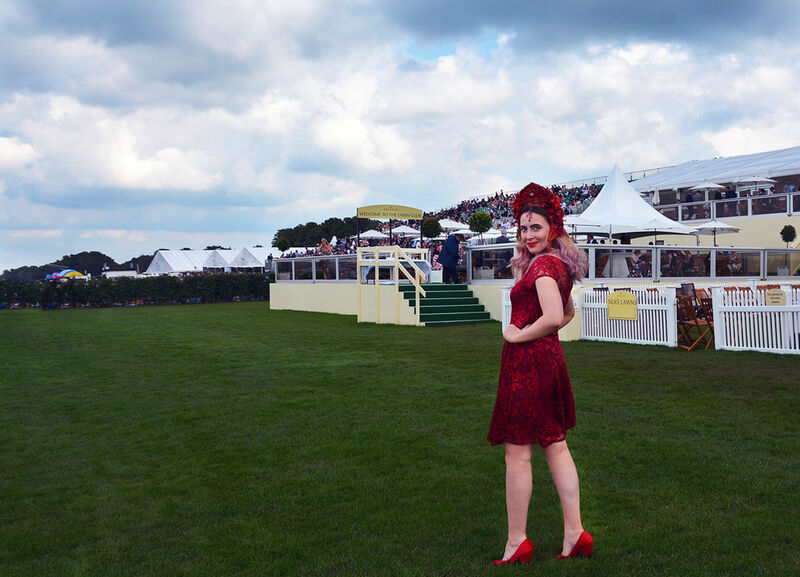 Would I go to Royal Ascot again? In a heartbeat. Beautiful and original. I love that touch of red! You are the most gorgeous lady in ready! 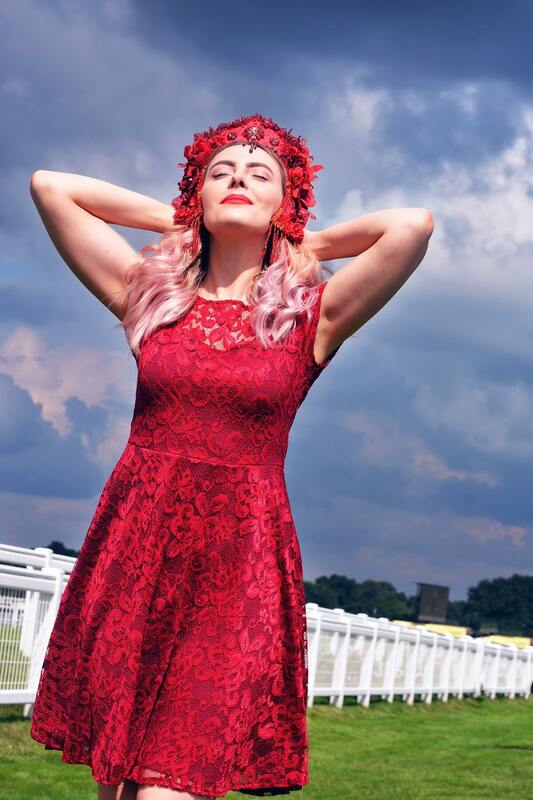 This dress is stunning and love your hat! 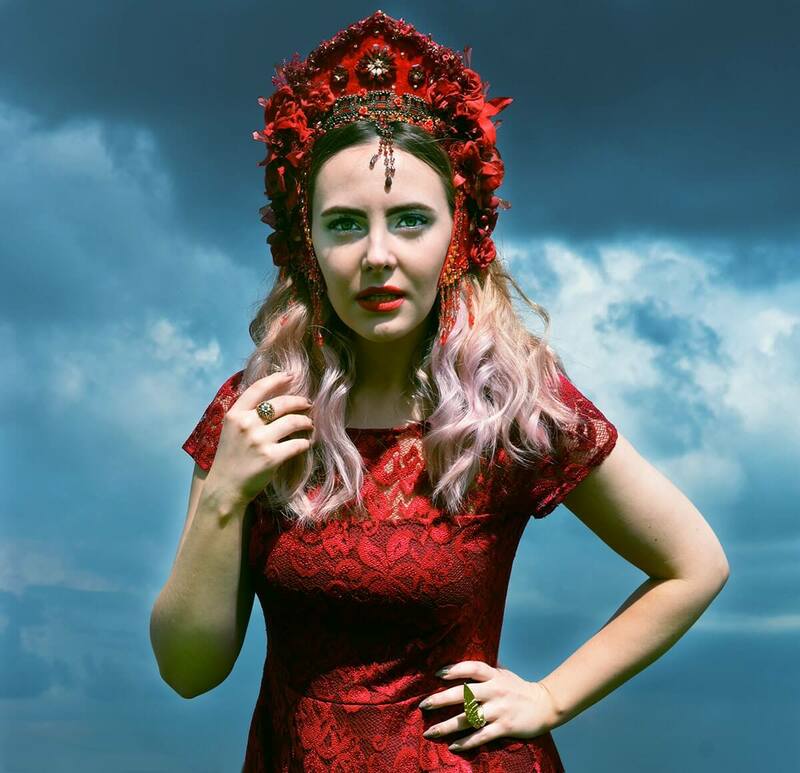 Your headpiece is everything and you look fab in that dress!!! The perfect look for Ascot. You are always stylish and so beautiful, Edita. Amazing look, it’s soo cool! Borderline frightened that is pretty funny. And loving this H to T red look, and your makeup looks stunning too, good job with this. Amazing! I love the head piece and the stunning dress! I love this dress! Beautiful photos. OMGG! You are stunning! I love your hat! What a fabulous outfit! I just love your red dress. I love that dress! It’s beautiful! out standing design! The delicate is super feminine and that color is so passionate! Great look, I love the added drama. 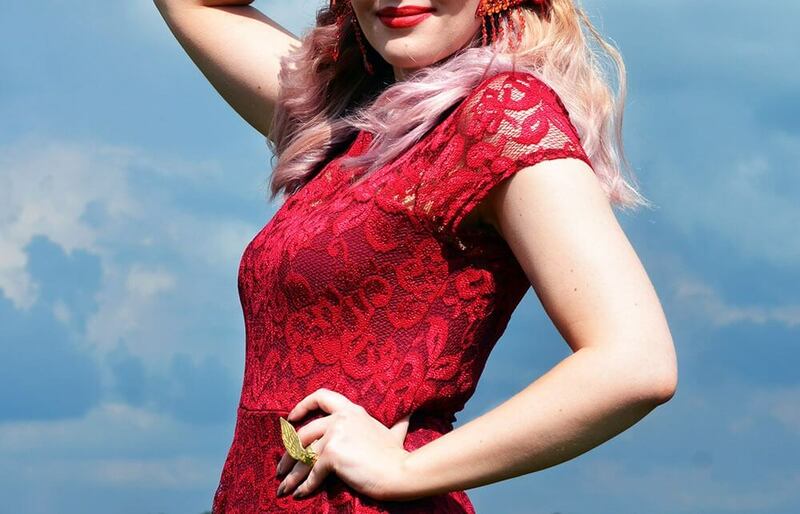 Love the red lace dress, you stunning head piece, and your passion for your heritage and high-fashion! Also red is your color! You look like a goddess! 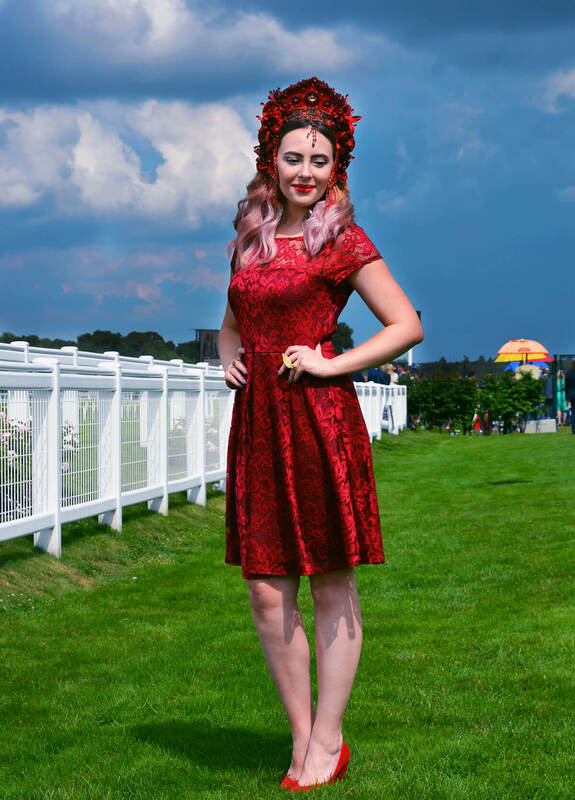 What a great ensemble for the races. 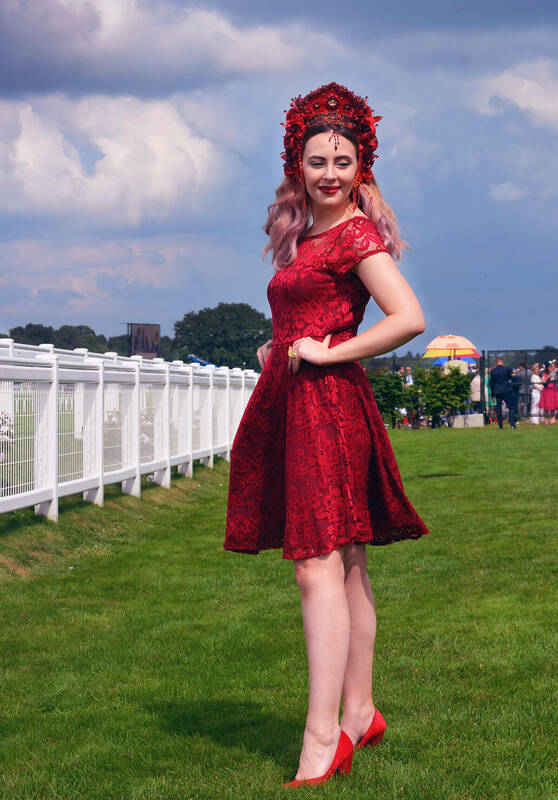 You are a beautiful lady in red at Ascot! Aw :3 You’re amazing!! You look so gorgeous. You look amazing! I love the red dress. You look fabulous :-).So red, so feminine !! The head piece is splendid! You look magnificent! I just opened up a new tab to pop over to that retailer. I HATE summer/feeling warm so this is definitely something I need to look into. Also… can we talk about that hat for a minute?! How amazing is that! wow you look ALL sorts of exotic and gorgeous!